Superman flew backwards reversing time to a point where Plastic Man was stuck in the Cretaceous period. 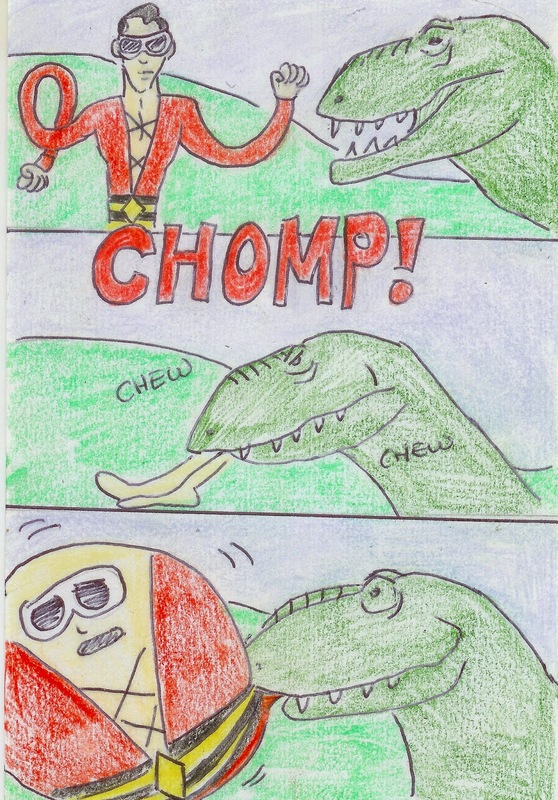 Though dinosaurs were unable to digest gum, as their bodies were not adapted to handle it, each dinosaur tried to eat Plastic Man. And thus their extinction was brought about. IT'S SCIENCE, PEOPLE!